One of the most popular YouTube apps for the iPhone, ProTube, has been pulled from the App Store by Apple at the request of Google, which claimed it violated its own Terms of Service.Speaking on his website, ProTube developer Jonas Gessner revealed that Google first wanted to get his app removed from the App Store over a year ago after the search giant went after several other YouTube clients available for iPhone and iPad users. 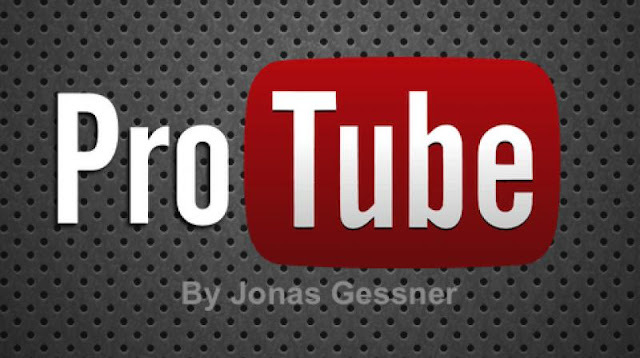 The app ProTube, which was available for $5, included functionality that wasn’t available in the free YouTube client developed by Google, like background playback, support for 4K video at 60 fps, and an audio-only mode that made it possible for users to listen to their favorite tunes with the app running in the background. Some of this functionality, such as the background playback, is available as part of YouTube Red, a premium service that Google sells for $10 a month. Gessner stated that he looked into different ways to avoid having the app pulled from the App Store, which includes removing the features which infringed on Google’s terms of service and then making the app completely free.Google threatened the developer with a lawsuit that would eventually get the app banned anyway, so he decided to give up and remove it completely. “This would end the dispute with YouTube, I wouldn’t end up in court and everyone who had downloaded the app could still use it. While it is absolutely awful seeing ProTube getting pulled from the App Store, it was the best solution when it comes to the users that already purchased the app. I was getting screwed either way but I at least didn’t want to screw my users,” he explained.